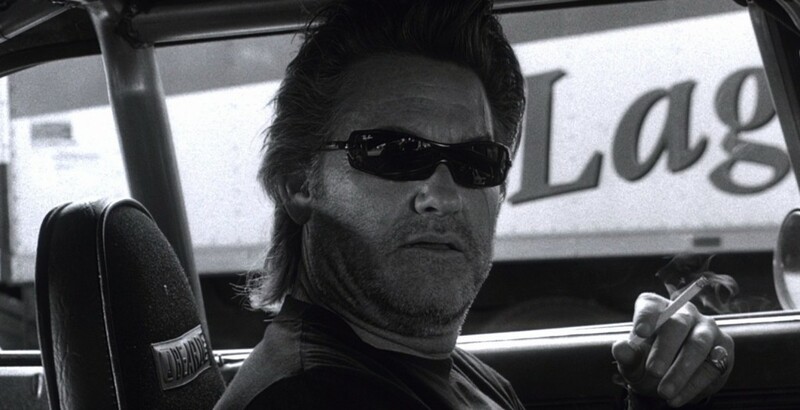 Kurt Russel, even at 61 looks ultra cool sporting the Ray Ban 4071 eyegear in the movie Deathproof. Playing a negative role completely blends with the sleek black pair of shades which gives a more diabolical look. Russel completely owns the screen sporting a black tee, blue jeans and the sunglasses to complete the adrenalin driven retired stunt car driver.